Congrats to Alyssa Martin & Andrew Coletta! 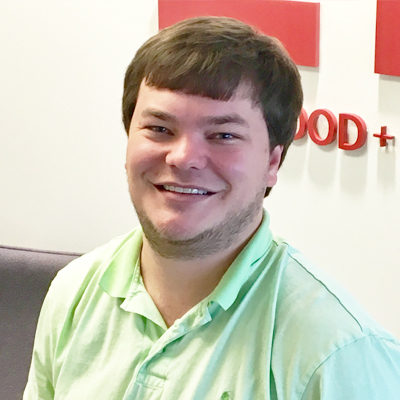 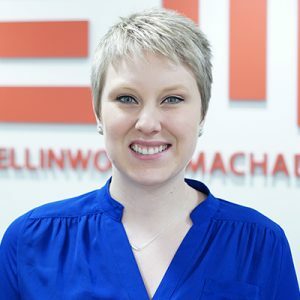 Alyssa Martin in our DC office and Andrew Coletta in our Raleigh office. 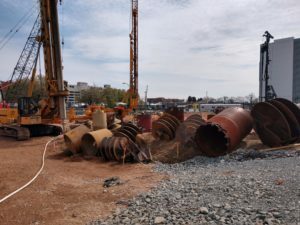 Both have just recently passed their SE 16-hour examination! 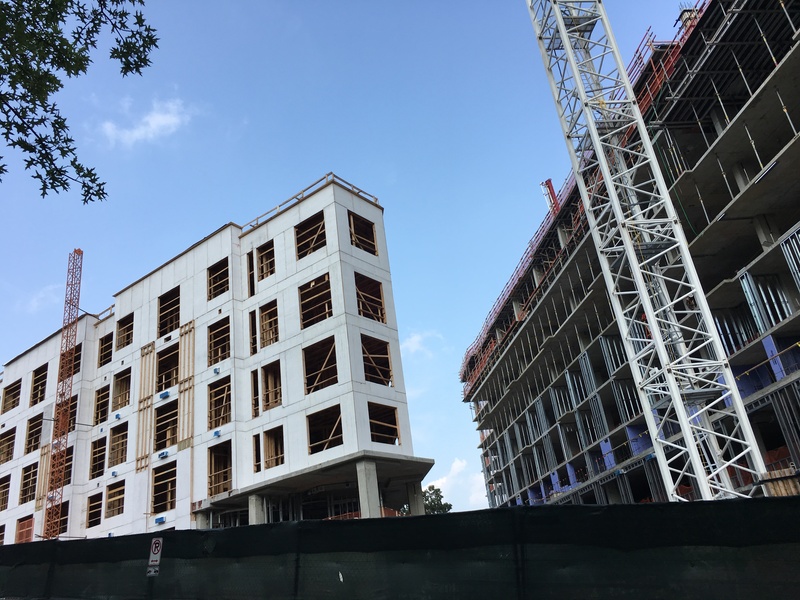 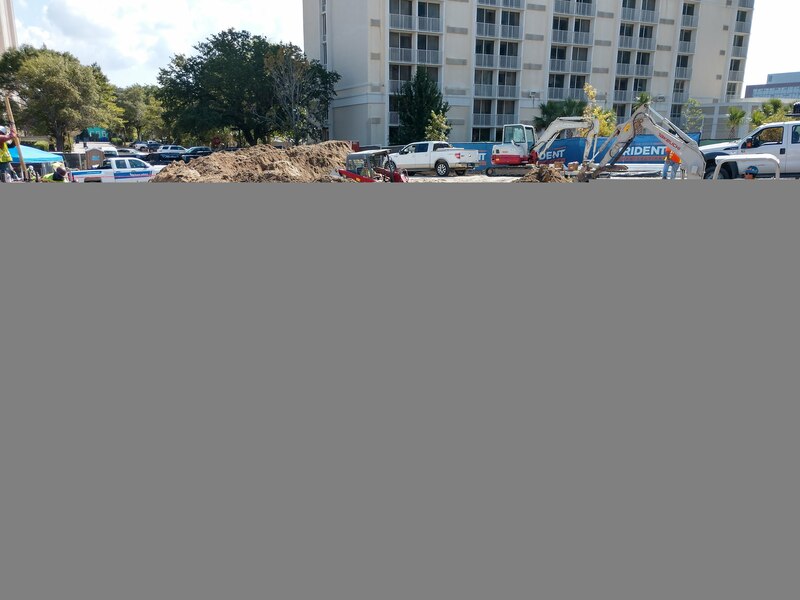 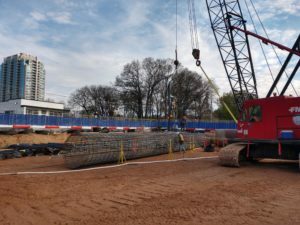 Check out these construction updates from a recent site visit to Foster on the Park! 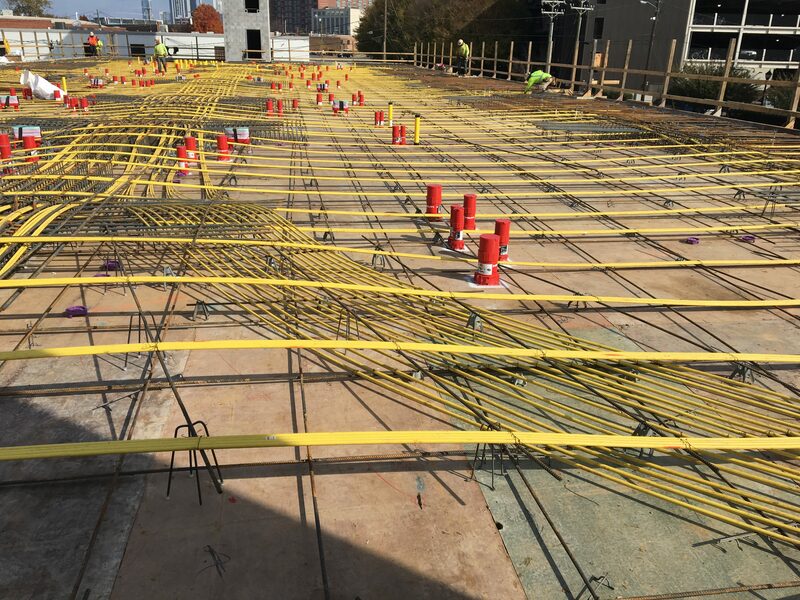 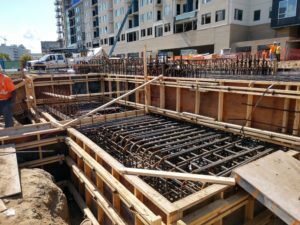 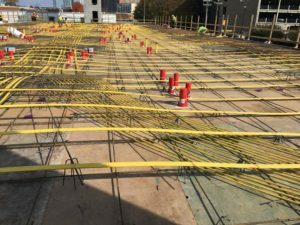 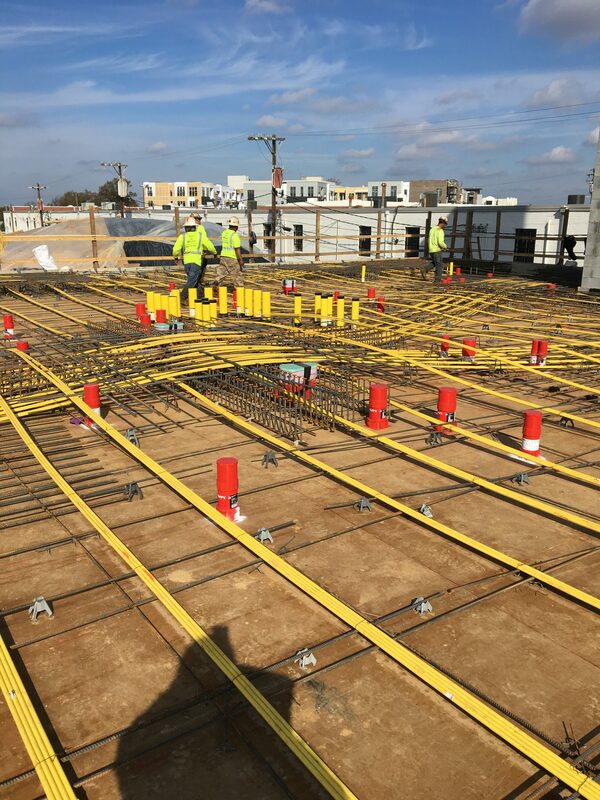 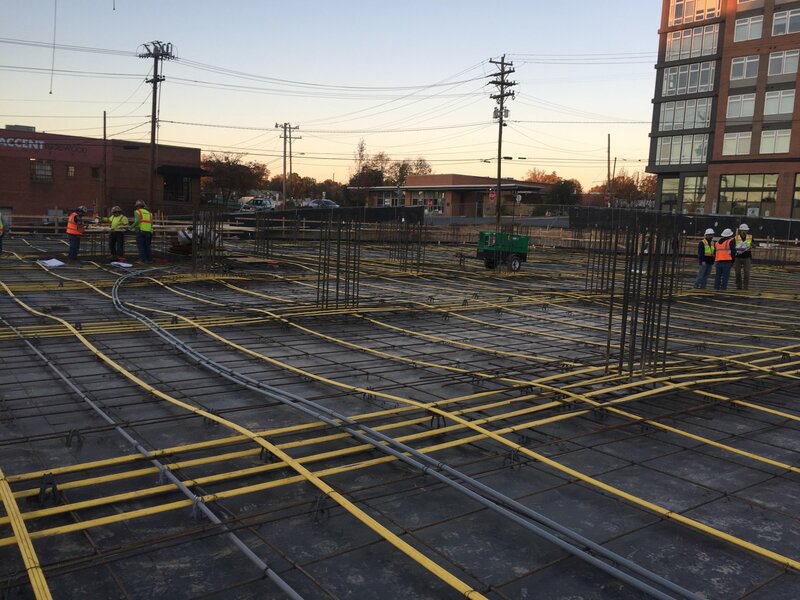 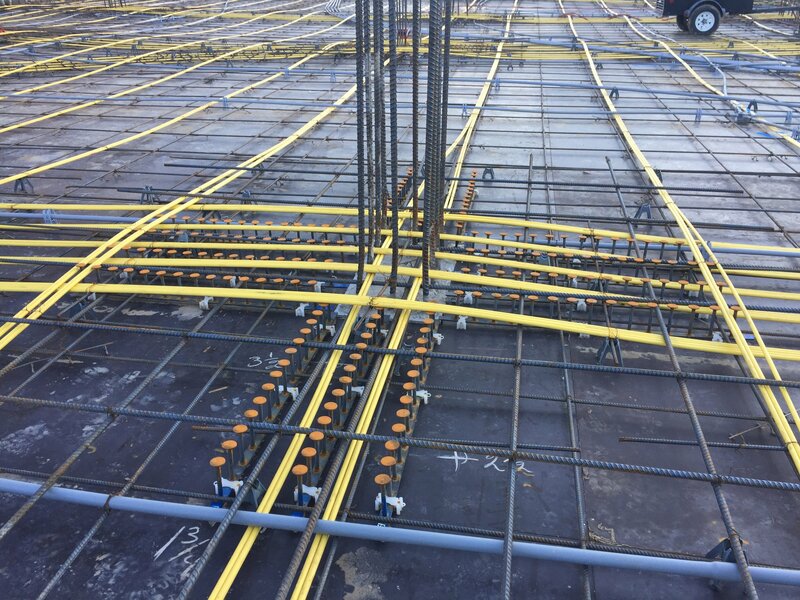 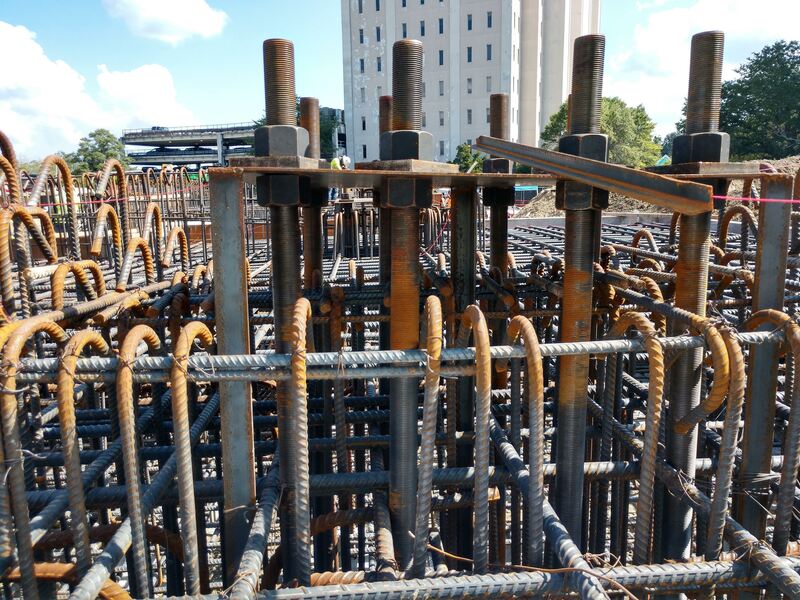 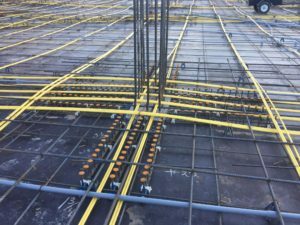 These pictures show some of the post tensioned concrete reinforcing and the ongoing efforts of the contractors to get everything coordinated and in the right location. 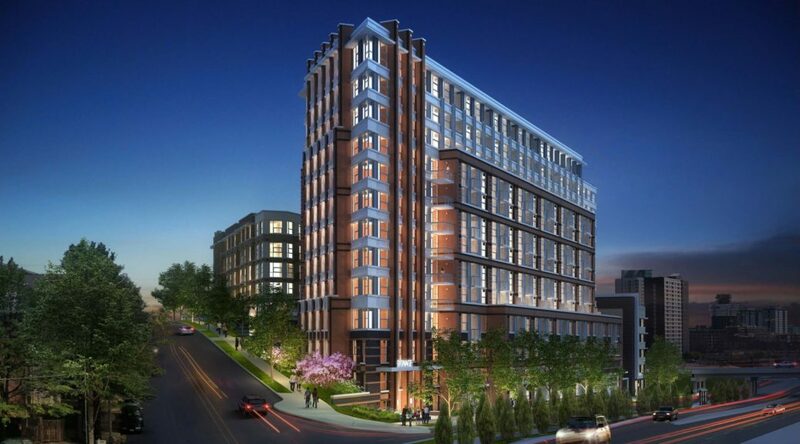 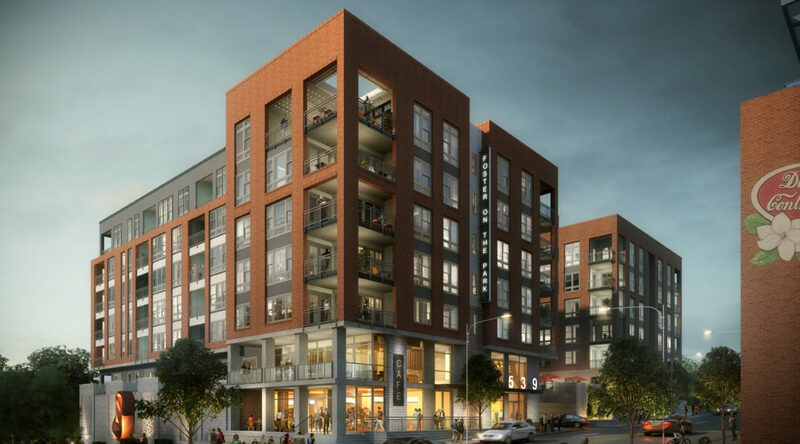 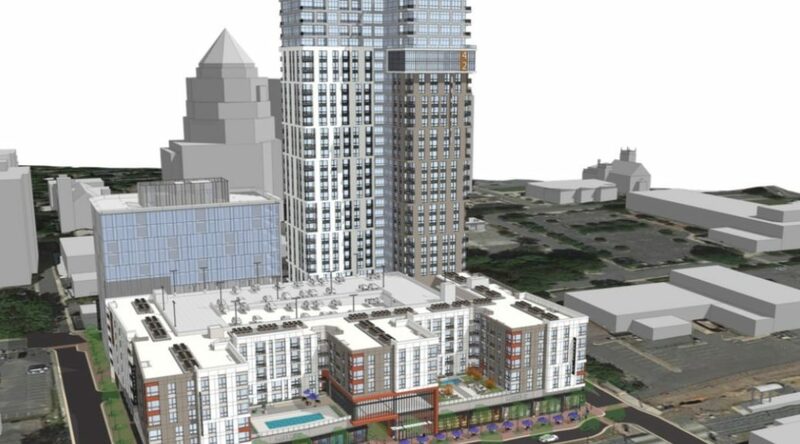 Foster on the Park is an 8 story mixed use project in downtown Durham, North Carolina. 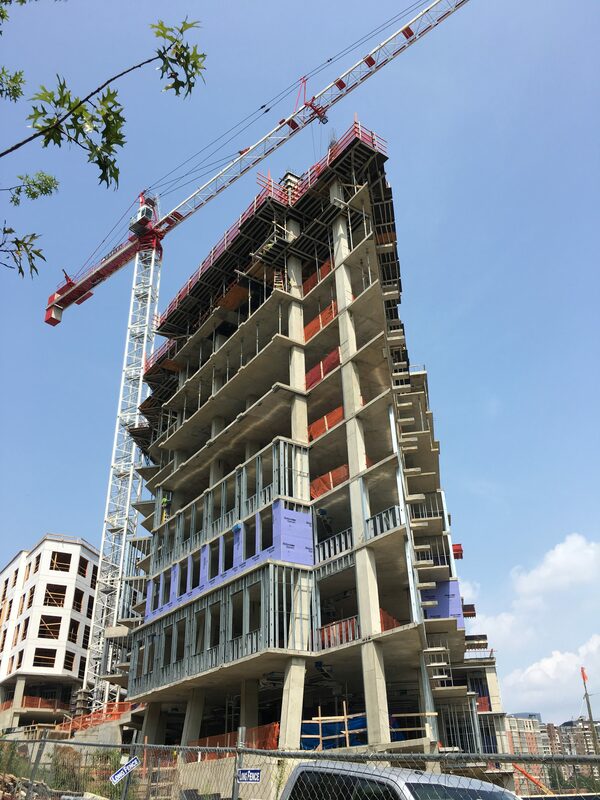 There will be 3 levels of elevated concrete and 5 levels of Type III timber construction. 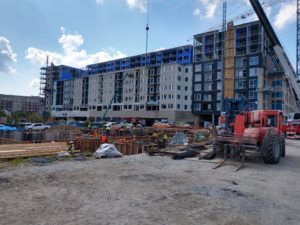 In the background you may also notice another E+M Project, Liberty Warehouse Apartments. 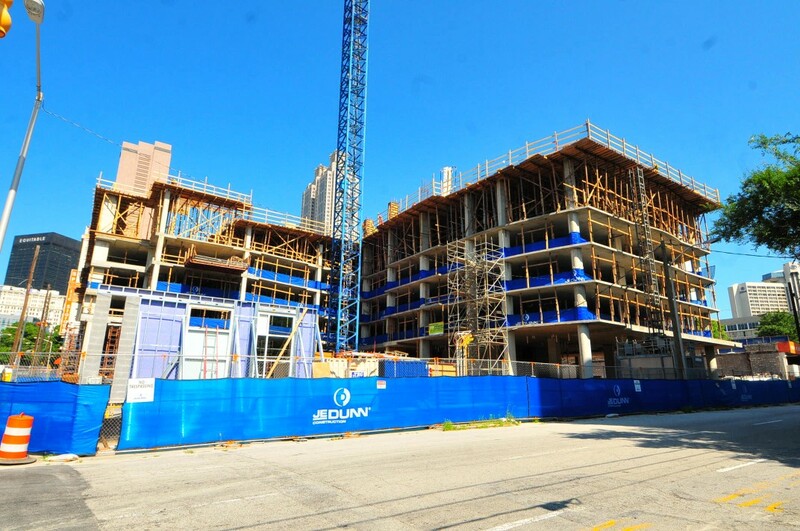 Check out these pictures of the HUB South End construction from a recent site visit. 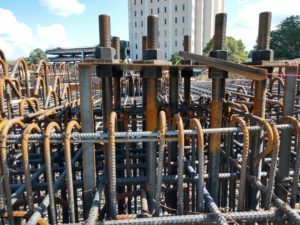 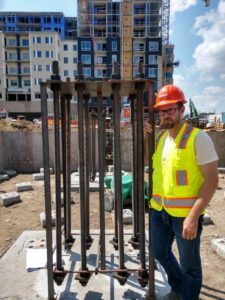 These pictures show the ongoing efforts to install the post tensioned and mild reinforcing of the podium level before concrete placement. 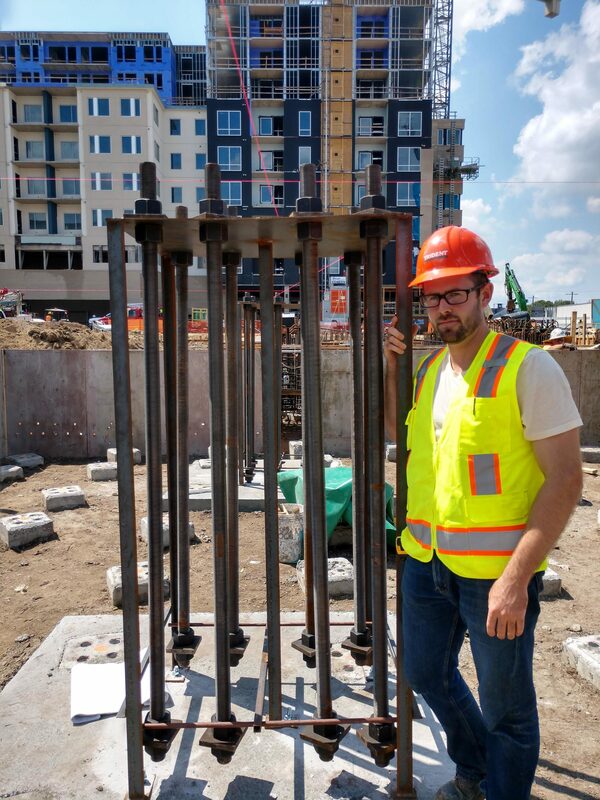 This concrete podium will will support 4 levels of timber framing. 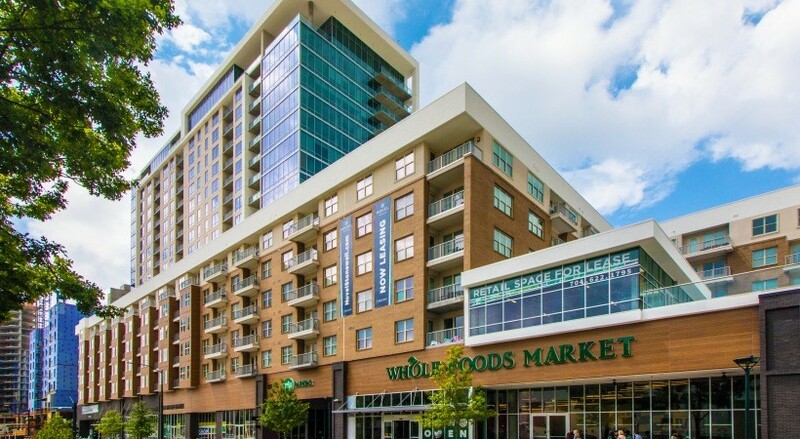 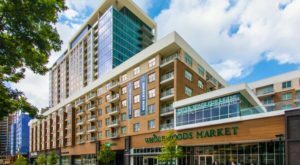 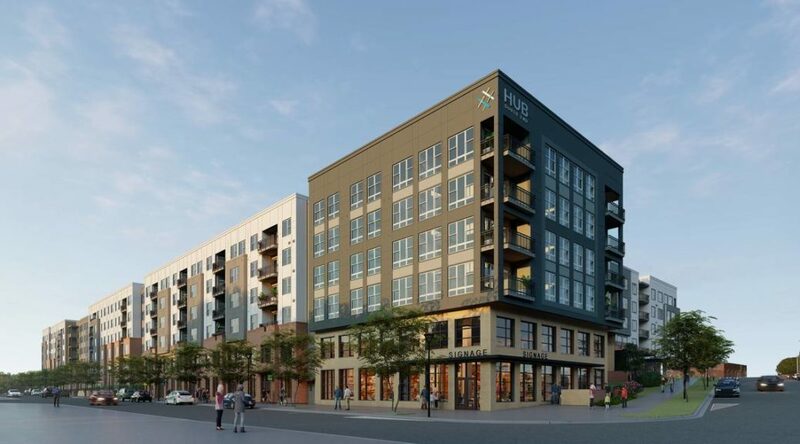 The Hub South End is a multifamily mixed-use project is located along the South line light rail in Charlotte, North Carolina. 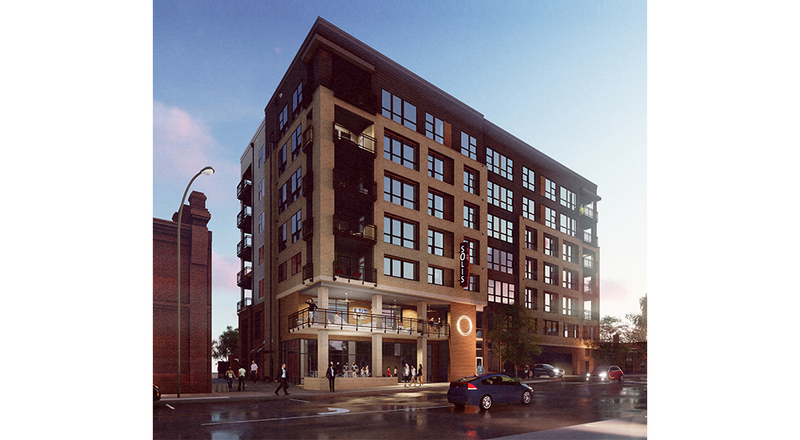 It will consist of 265 residential units with retail, office, and town home space under the podium. 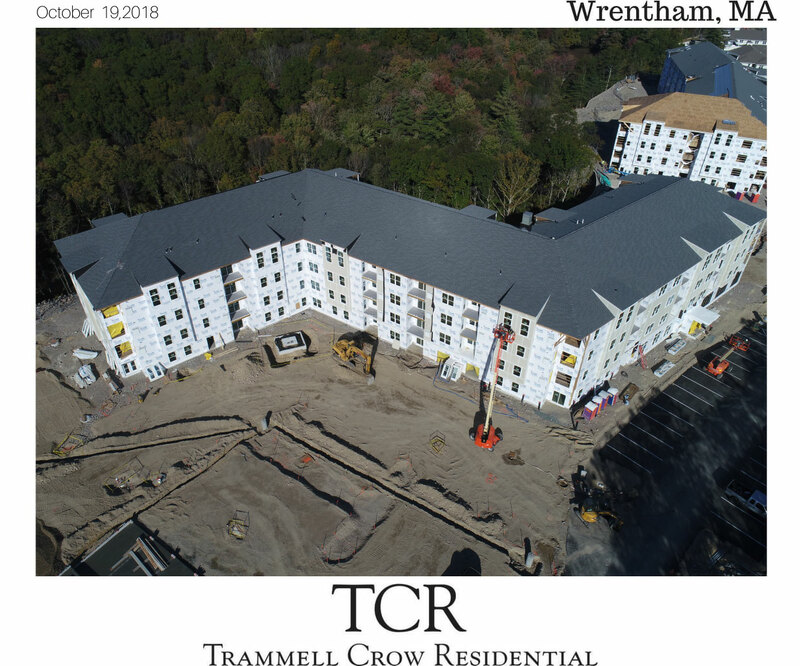 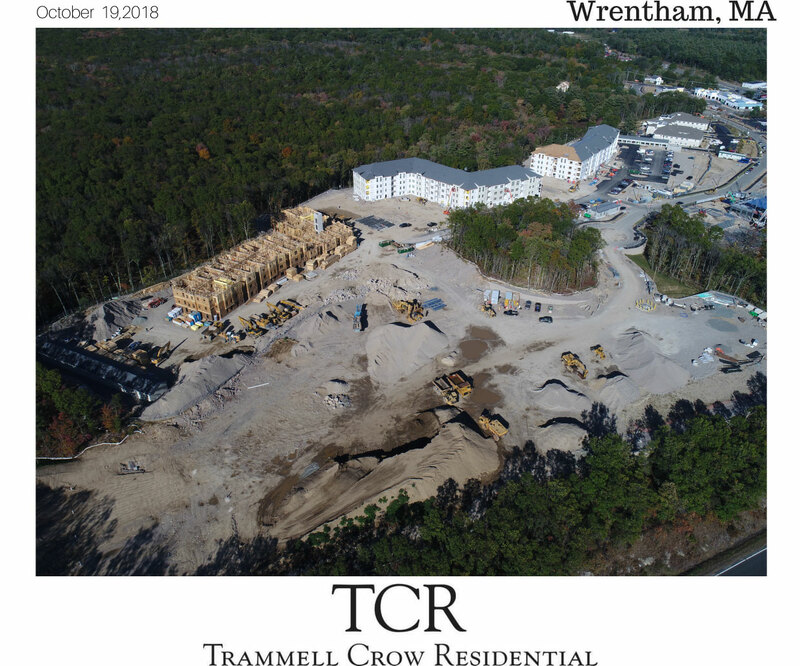 Check out these recent construction pictures from our Alexan Wrentham project! Thanks to TCR for the pictures. 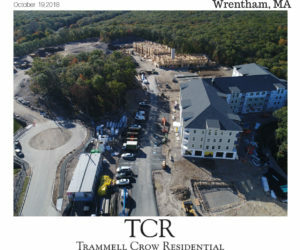 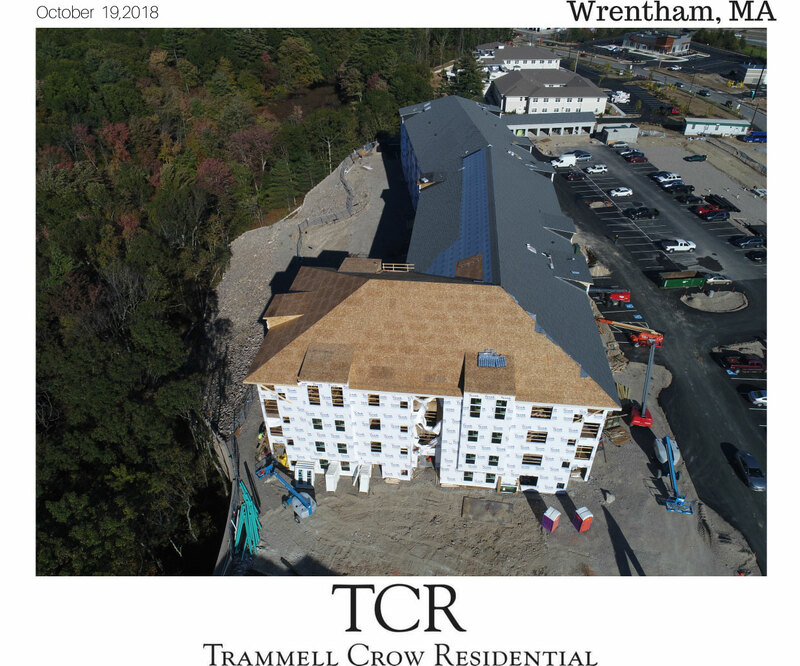 Alexan Wrentham is 3 building, 4 story Type V timber project in Wrentham, Massachusetts. 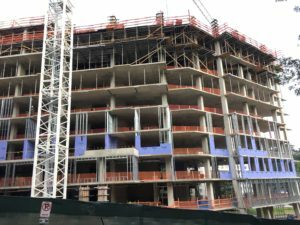 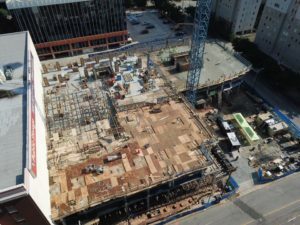 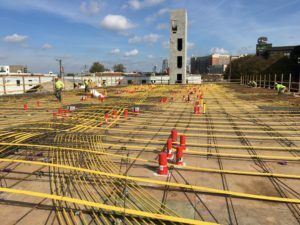 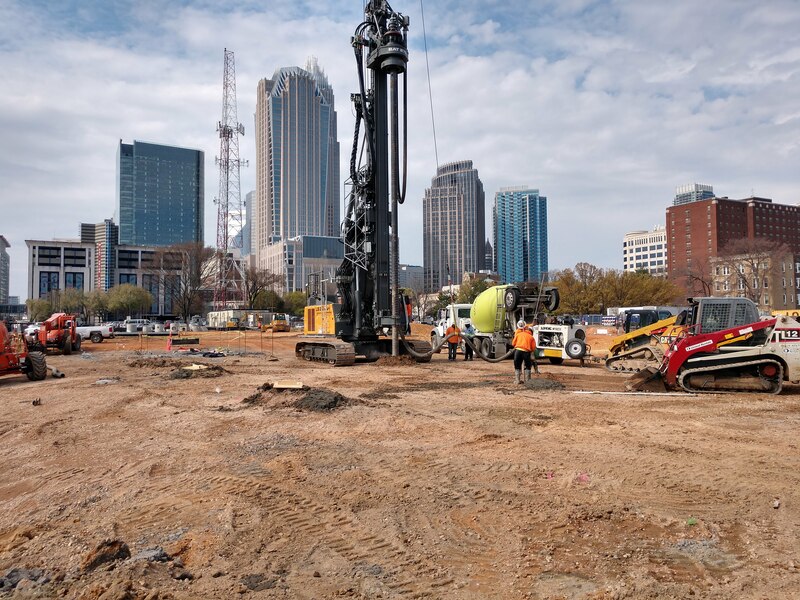 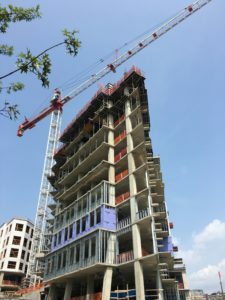 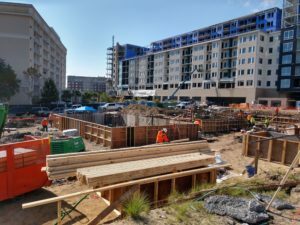 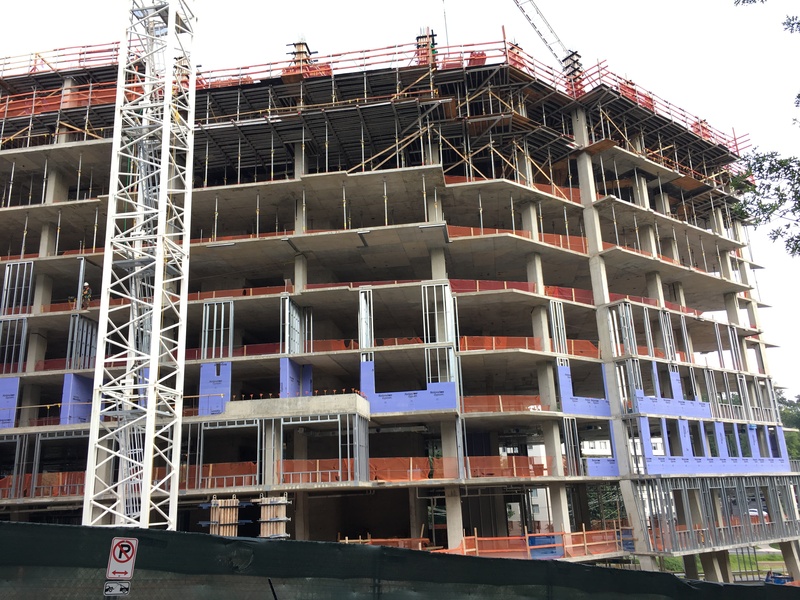 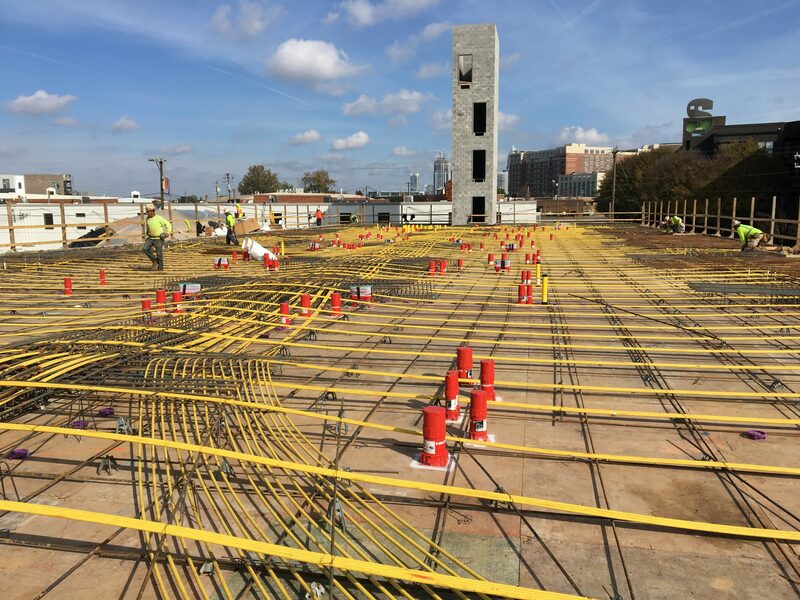 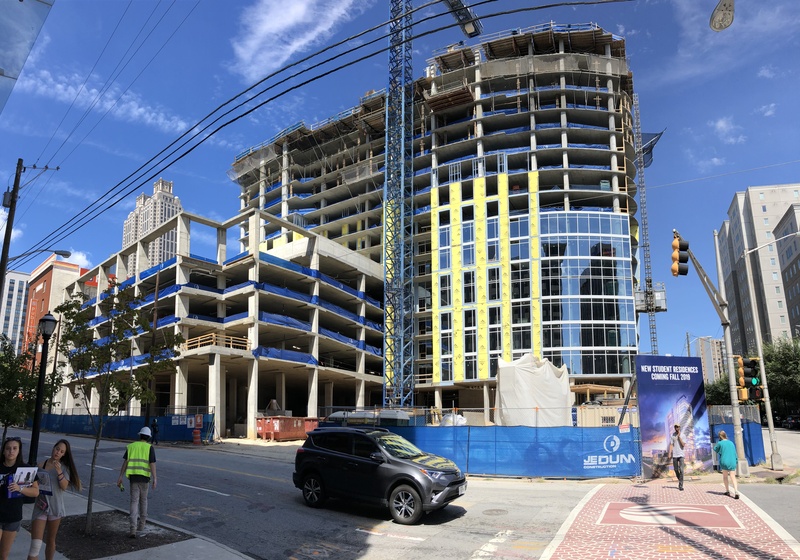 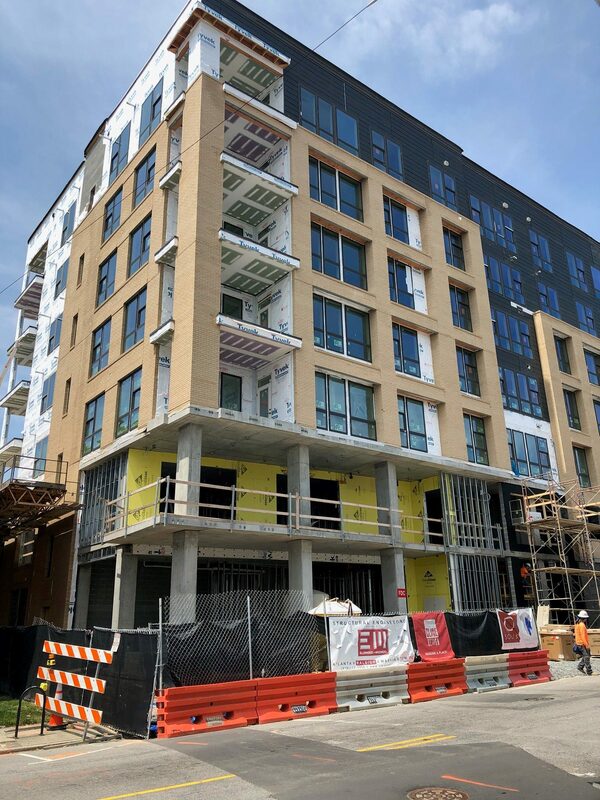 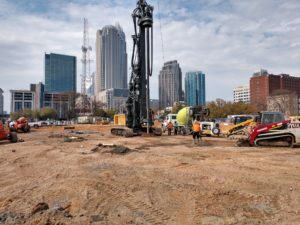 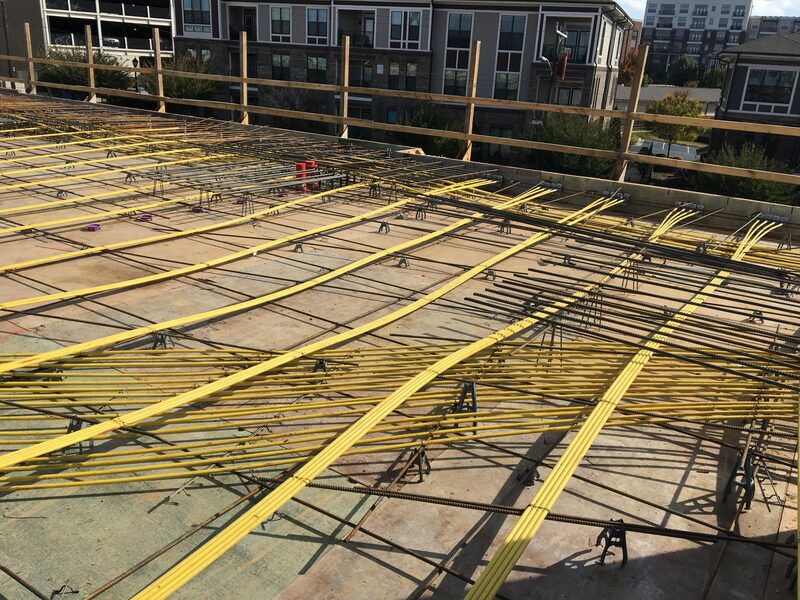 Check out these construction pictures from a recent site visit to our GSU Student Housing (120 Piedmont) project in Downtown Atlanta, GA! 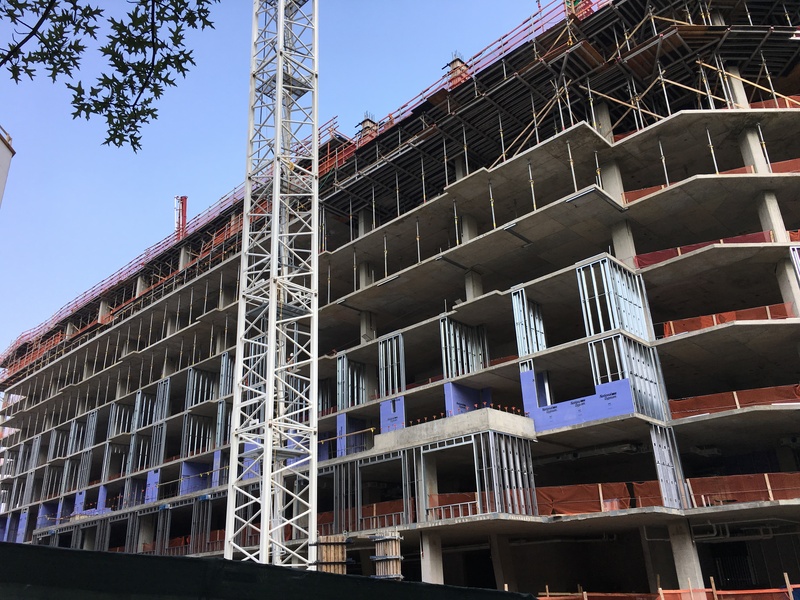 This 467,125 square foot tower will accommodate approximately 685 students and include 8,200 square feet of retail space. 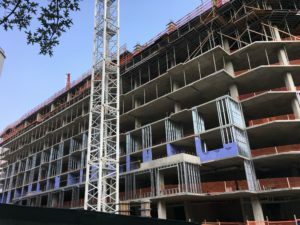 There will also be a rooftop deck, resort-style swimming pool, clubhouse, fitness center, on-site library, internet cafe, and Wi-Fi throughout the building. 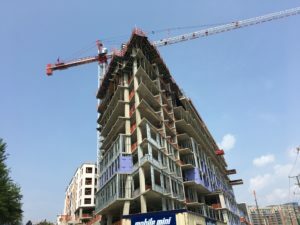 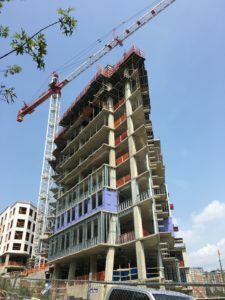 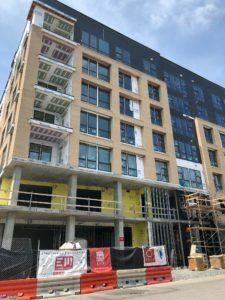 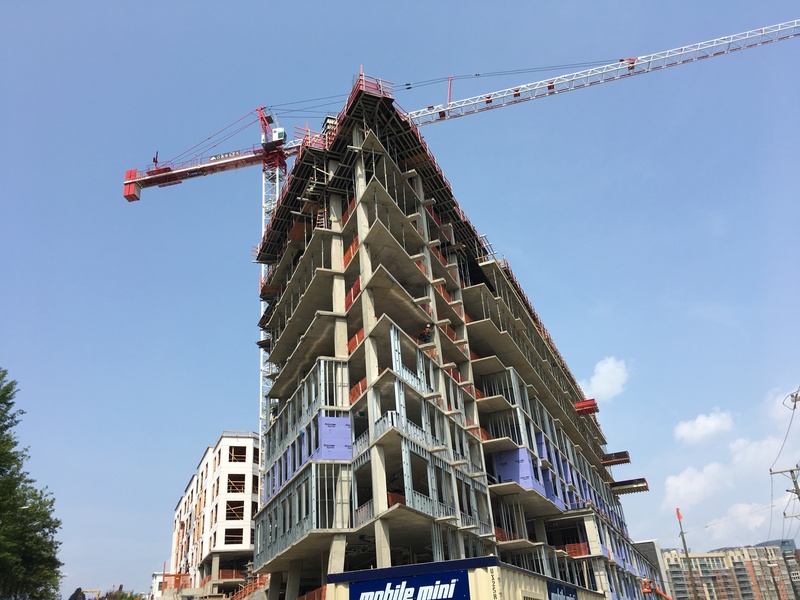 Check out these pictures from a recent site visit to Gables Point 14 in Arlington, VA! 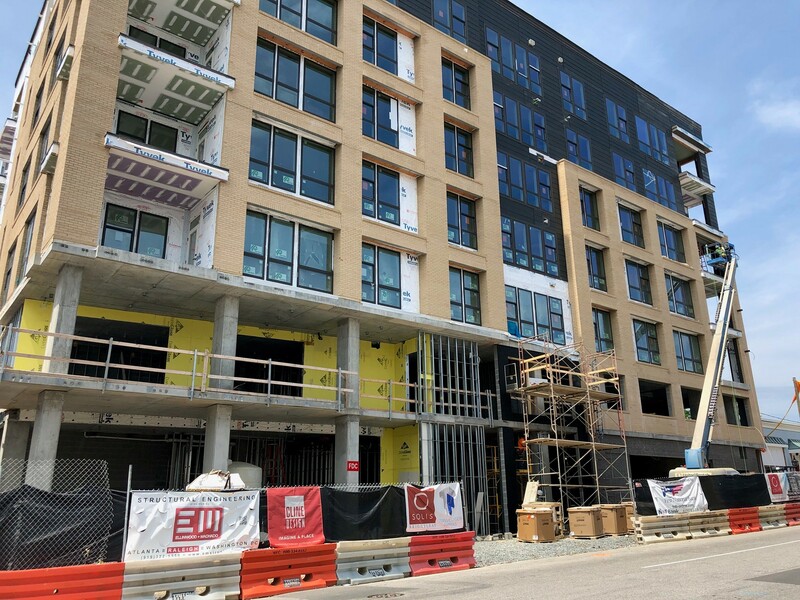 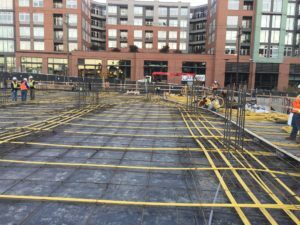 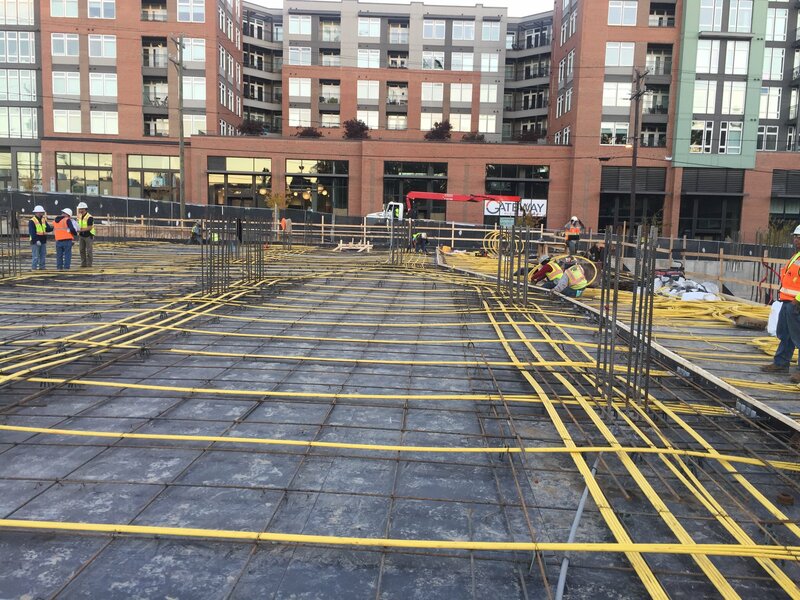 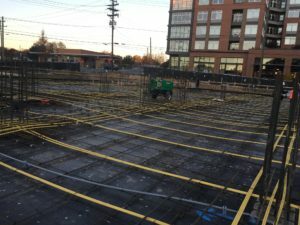 Located in Arlington, VA, the Gables Point 14 project provides 421 residential units, with approximately 400 underground parking spaces. 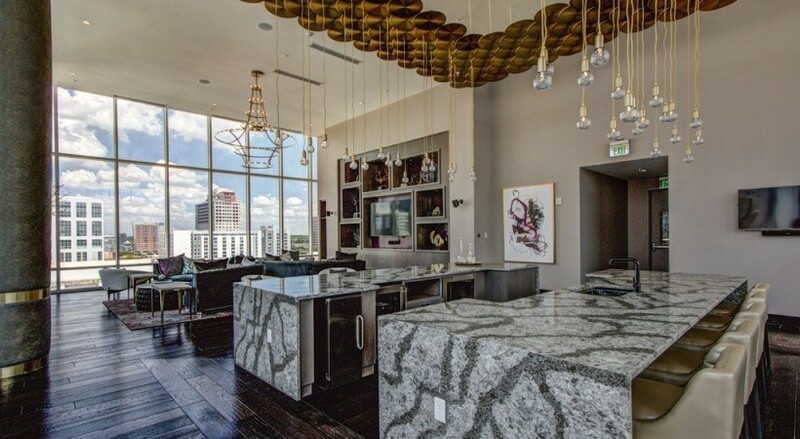 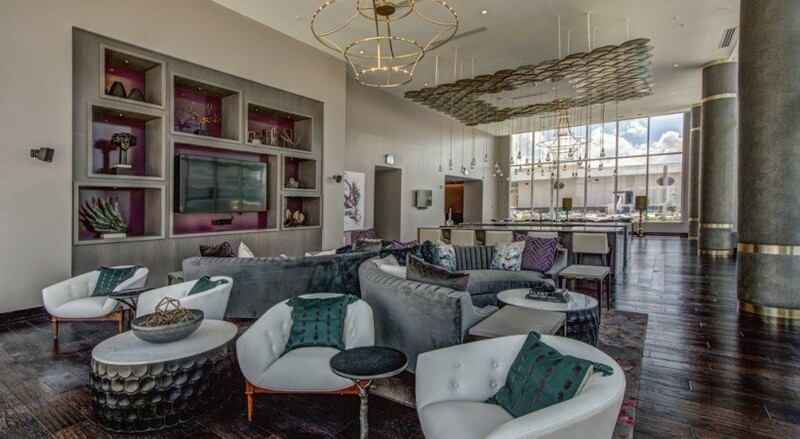 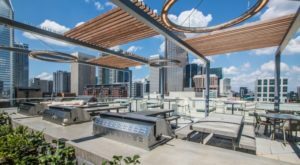 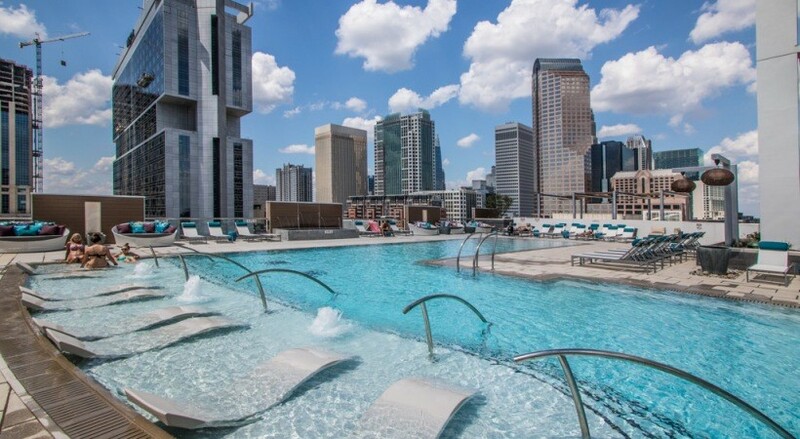 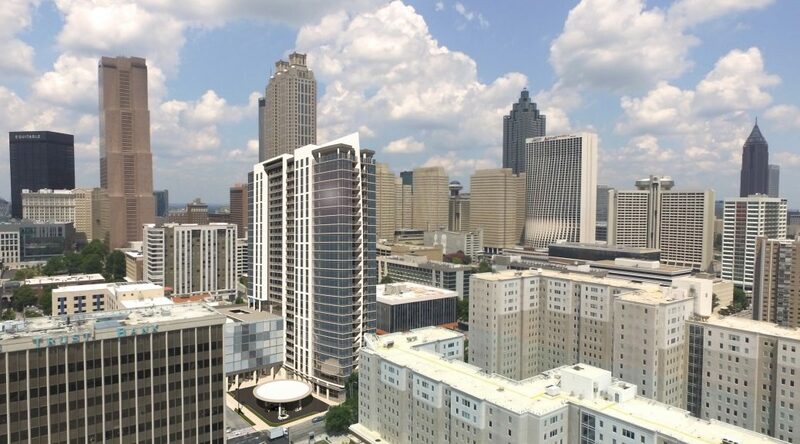 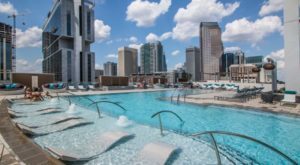 There are numerous amenity spaces including a rooftop pool, community rooms, fitness center, media room, pet wash, and a larger courtyard separating the 12 story southern tower from the 8 story second building to the north. 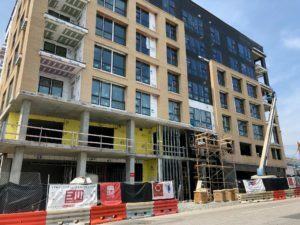 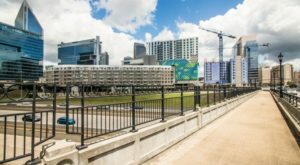 Stonewall Station Construction Nearing Completion! 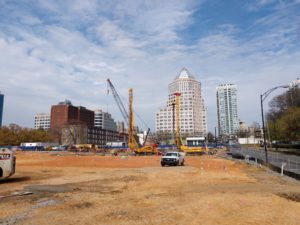 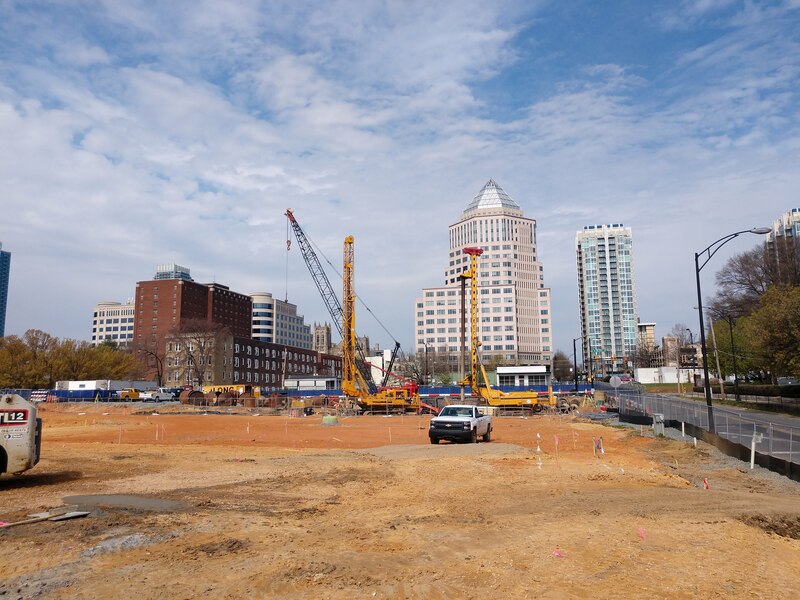 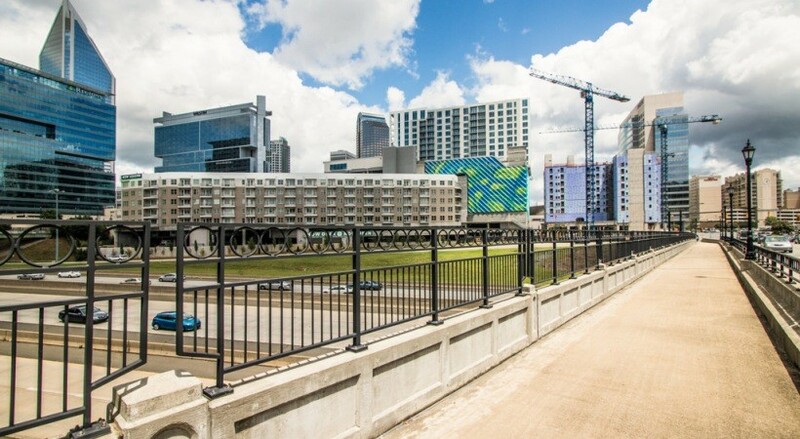 E+M’s Stonewall Station Construction project in Charlotte, North Carolina is nearing completion. 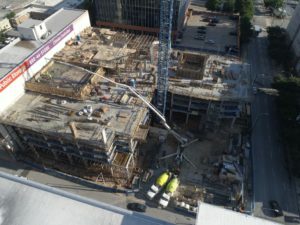 Check out these recent pictures of the project! 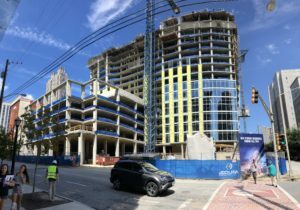 This 21-story mixed-use structure is located Uptown Charlotte, North Carolina across Stonewall Street from the NASCAR Hall of Fame. 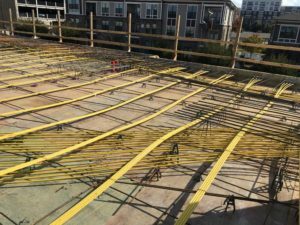 Multiple structural systems were employed in the design of this project, including post-tensioned flat-plate slabs, post-tensioned beams and girders, composite structural steel framing, concrete columns, concrete shear walls, and structural wood framing. 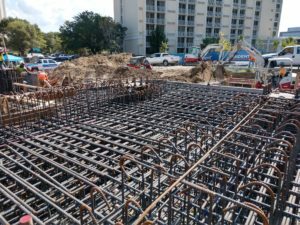 The foundation for the structure is a combination of shallow spread footings bearing on rock and concrete drilled piers. 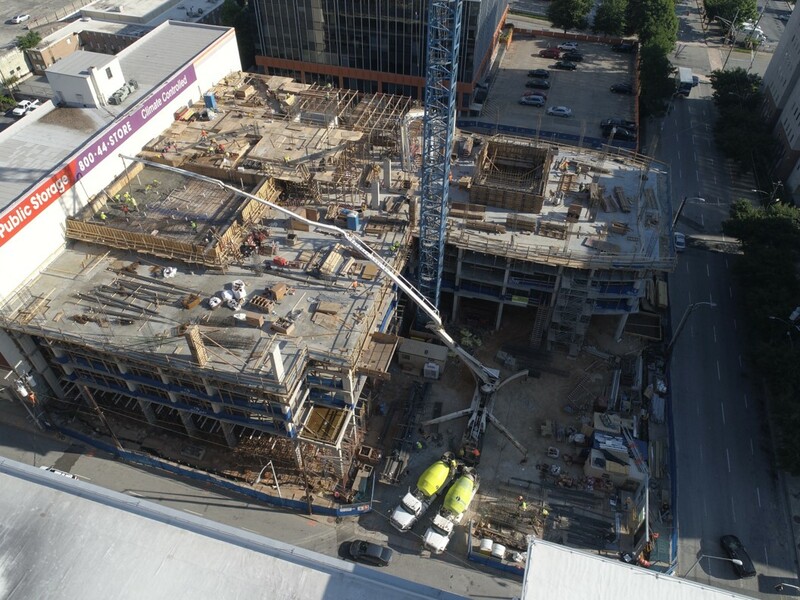 Check out these recent construction pictures from our Solis Brightleaf project in Durham, NC. 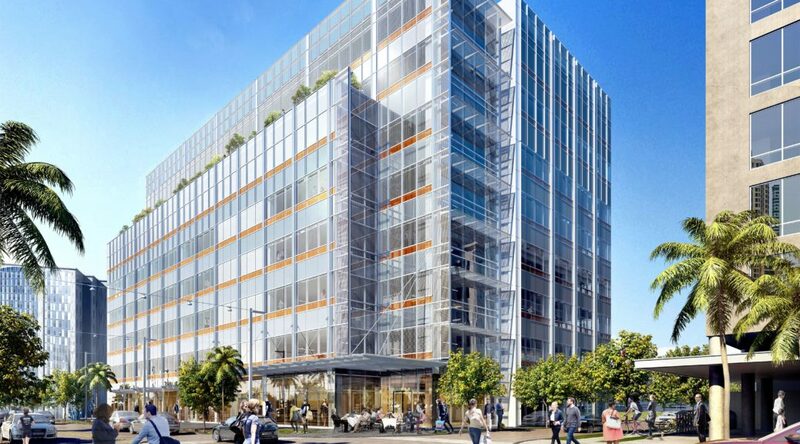 Solis Brightleaf is a 299,000 sq. foot. 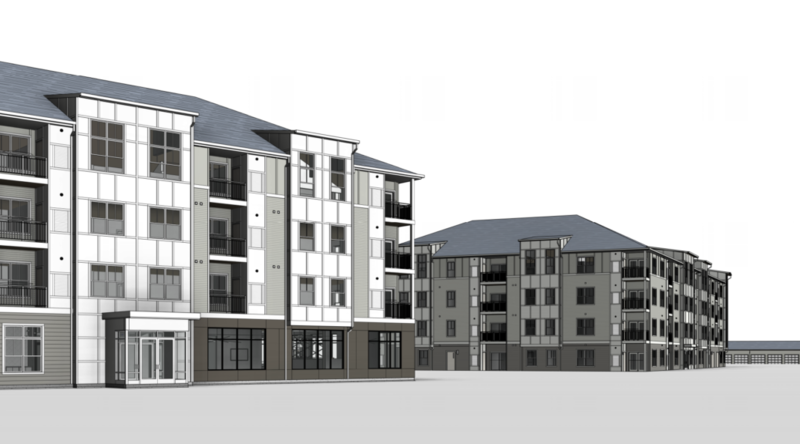 mixed use development adjacent to the Historic Brightleaf Square shopping center.